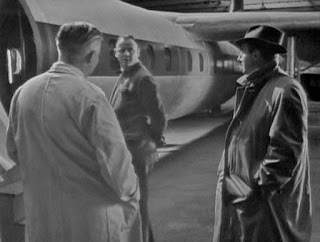 Aviation, big business and politics are the ingredients that make ATV’s The Plane Makers heady viewing. This British TV series ran for three seasons from 1963 to 1965. Of the first season only the first episode survives. The whole of seasons two and three survives. It was followed by a series called The Power Game which was a sequel of sorts. 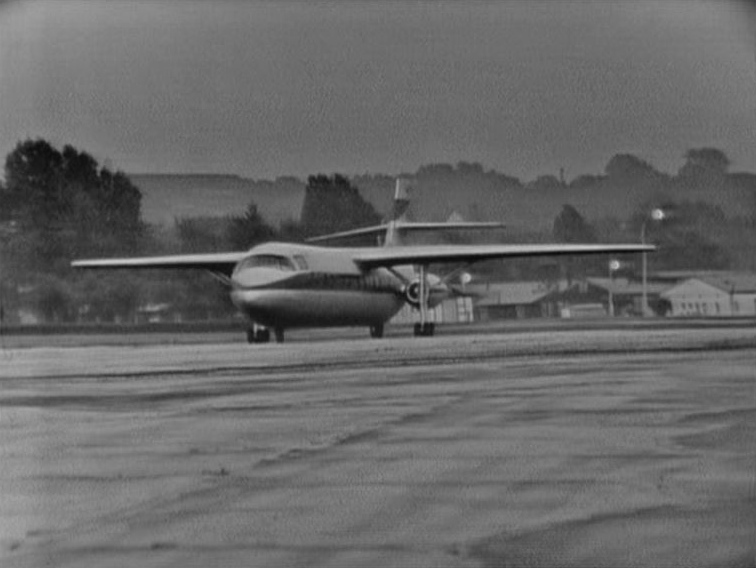 The setting of The Plane Makers is the fictional Scott Furlong aircraft factory. The series deals with the various power struggles in the boardroom and between the management and the trades unions as the company tries to launch its new Sovereign medium-range jetliner onto the international market. The Plane Makers could have been a tedious exercise in political television but it isn’t. Yes it focuses on the double-dealing and chicanery of top executives, bureaucrats and politicians, but the workers are no better - they’re trying to feather their own nests or they’re lazy and dishonest. 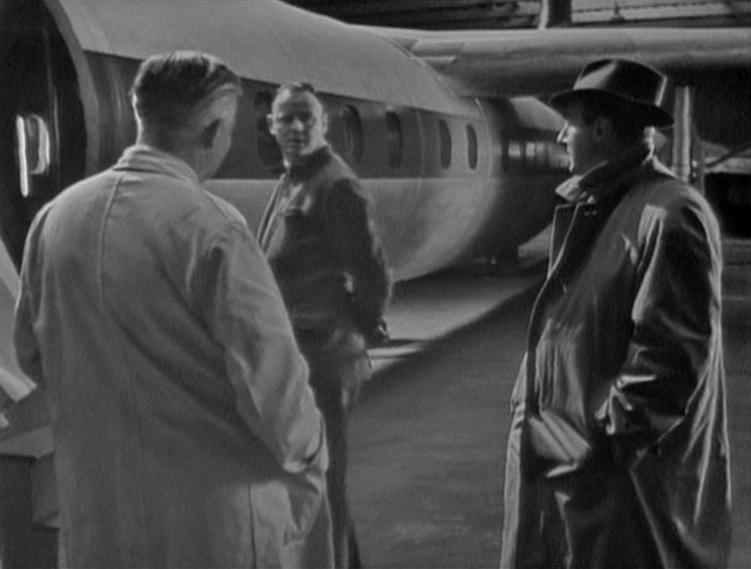 The Plane Makers doesn’t focus on the corruption of the ruling class (although the British ruling class is certainly portrayed as being vicious and corrupt) - it focuses on the corruption of Britain as a whole in the early 60s. It does not however descend to nihilism or despair. While it’s often critical it also celebrates the efforts of those who are honestly trying their absolute best to make the Sovereign a success for both the company and the country. Even the ruthless chief executive John Wilder, for all his faults, has to be reluctantly admired as a man who has the drive and ambition to succeed. We might not like men like Wilder very much but we do need them. There’s also a certain sense of guarded optimism about the future. 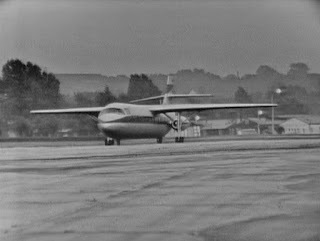 Technology is exciting and aviation is exciting and in 1963 it was still possible to believe that British industry had a future. Unusually for a British series of this vintage The Plane Makers doesn’t feel studio-bound. There’s quite a bit of outdoor shooting and it has a reasonably expansive feel to it. Network have released the second season in two boxed sets and it’s the first of these, containing the initial thirteen episodes of the season, that we’re concerned with here. Don't Worry About Me kicks off season one and it has to be said it’s a slightly odd way to begin a series dealing with an aircraft factory. We don’t really see any aircraft and it could be any sort of factory. It’s actually not that bad a story, just a strange choice as the series opener. It’s a shop floor drama involving one of the company’s best craftsmen who has as reputation for making short cuts and taking risks. The apprentice assigned to him is a very promising lad but he’s starting to pick up bad habits and these bad habits lead to potentially tragic results. It’s the kind of gritty (and usually tedious) social realist drama that British television churned out in immense quantity during the 60s, although this one is reasonably well done if you like that sort of thing. It’s unfortunate that it’s the only surviving first season episode since it doesn’t really give much of a feel of what the series is about, and it doesn’t offer any background on the characters who will dominate the series. On the other hand the second season opener, “Too Much To Lose,” is an object lesson in how to start a new season with maximum effectiveness. In the space of 50 minutes it gives us all the background information we need on the key characters and on the Scott Furlong aircraft company and also tells an exciting and very tense story. The company’s newest aircraft, the Sovereign airliner, is almost ready for its first test flight. Exhaustive ground testing has been carried out. Everything seems to be working perfectly. The company’s chief test pilot, Henry Forbes (Robert Urquhart), is reasonably happy but he is determined that the Sovereign will not leave the ground until every possible test has been made and the results checked and rechecked and then rechecked again. Forbes is a very very cautious test pilot. That’s why he’s still alive. 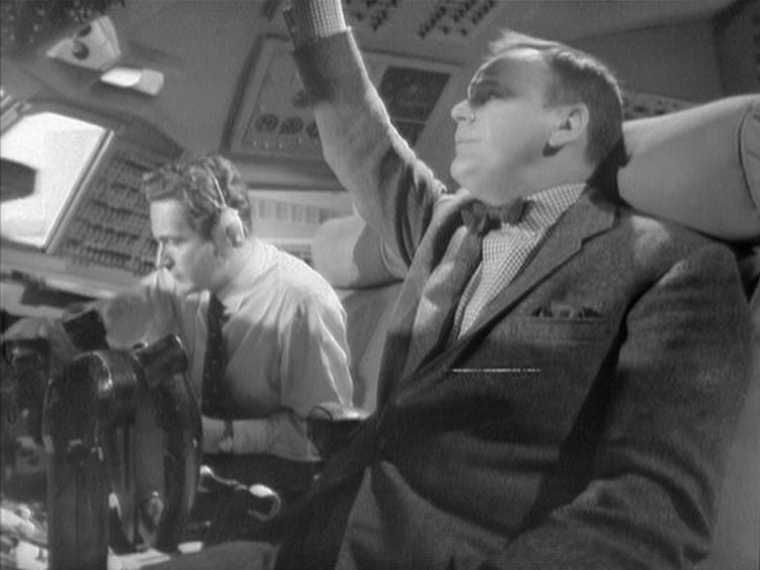 The Sovereign’s first flight is now three weeks away but the hard-driving ruthless chief executive of Scott Furlong, John Wilder (Patrick Wymark) has other ideas. Their main competition is a new French airliner that will make its first flight in ten days’ time. The Sovereign must beat its French competitor into the air. The first flight must take place in two days’ time. Forbes is very uneasy about this. In fact there’s a general air of uneasiness within the company which is exacerbated by Wilder’s decision to break with long-standing company tradition. When a new Scott Furlong aircraft makes its first flight the company’s chief executive is always aboard, but Wilder announces he will not be making the first flight. This does not make the best of impressions. Wilder is under pressure from his board of directors as well. His control of the company is not as total as he would like. And there are tensions surfacing in his marriage as well. All these stresses on all the key characters keep building as the first flight approaches. Will the flight end in triumph, or in disaster and tragedy? This is superb television. In No Man’s Land the company is in turmoil. The possibility of a fault in the Sovereign is enough to threaten the company’s survival and Wilder is determined to make sure the person responsible is found and fired. It turns out not to be so simple. There’s the danger of upsetting the union. Even trickier is deciding just where responsibility might lie. Might it not lie with the person who insisted on rushing the flight testing - that person being Wilder himself. For works manager Arthur Sugden it’s a question of where his loyalties lie and that’s a tricky question indeed. Sugden came up through the ranks so to speak - does he identify with the workers or the management? In A Question of Sources Wilder finds out that there is one thing worse than a possible fault in a new aeroplane, and that’s the press getting wind of it. All Part of the Job deals with the sort of low-level corruption that is endemic in any organisation. While executives are awarding contracts to outside firms on the basis of favours owed to them the ordinary workers are ripping off the company in countless small ways. No-one sees this as real corruption- it’s just taking advantages of the perks of the job. 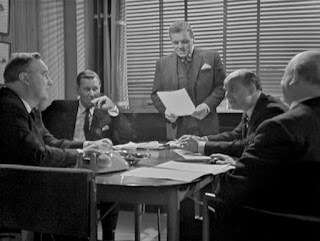 John Wilder takes Arthur Sugden, now promoted to works general manager, along with him on a sales trip to Italy in “Don't Stick Your Head Out" and Sugden learns that there’s more to selling aeroplanes than he’d thought. Sometimes selling aeroplanes is all about not selling aeroplane. Sugden finds it difficult to cope with such subtleties and perhaps that’s why Wilder brought him along - if you want to be an executive you have to learn to embrace such subtleties. "The Old Boy Network" raises the old question - is there one rule for the ordinary workers and another for the executives? Does being a gentleman mean you get a second chance when you make a bad mistake, a second chance that the ordinary worker would not get? In this case Ernie Wainwright, a very lowly employee, has made a serious mistake but up-and-coming sales executive Nigel Carr’s mistake is arguably just as serious. Will Nigel be looked after by the Old Boy Network? As usual with this series the issue is dealt with without resorting to mere clichés. Any More for the Skylark? is a real change of pace, being not merely light-hearted but verging on out-and-out comedy. It is a tradition of the firm that when a new aircraft makes its first long-distance flight the seats are allocated to random employees. In this case that means a free trip to the Mediterranean. This causes nothing but headaches for the two unfortunates in the PR department who find themselves saddled with the job of allocating the seats. There are sixty seats and hundreds of employees who think they should be on the flight. It’s a gently amusing episode and it comes just at the right time, midway through the second season, when a touch of light-heartedness is rather welcome. A Matter of Self Respect is more in the style of the British kitchen sink dramas of the day. Tim Carter used to be a high-flyer in the design department, until he spent a year-and-half in prison. Now he’s back at Scott Furlong, on the shop floor, and it’s a difficult adjustment. And that’s the least of his problems. His private life is a shambles. He’s trying to put himself back together piece by piece but at any moment it could all come crashing down again. It’s a reasonably well done episode but kitchen sink dramas are not really my thing. "Costigan's Rocket" is pure whimsy. Harry Costigan works in the stores department at Scott Furlong. Harry is renowned as a man who is always in a rush and gets his jobs done quickly but he has never been known to do overtime. That is, until his daughter gets engaged. Weddings are expensive things and Harry is determined that his daughter will be married in style. Even with overtime it’s going to be a struggle to pay for it. Then, quite out of the blue, the answer to Harry’s problems drops into his lap. The answer is Costigan’s Rocket. Costigan’s Rocket is a greyhound. Not just a greyhound however - the Rocket is the fastest thing on four legs. Owning this dog is like having a licence to print money. It’s actually a small syndicate of Scott Furlong employees who own the dog but there’s no doubt that this animal will guarantee them all a very tidy profit on their modest investment. You might wonder why the man at the very top of the company, John Wilder himself, would be concerning himself with this dog racing scheme but there are reasons why it becomes absolutely essential that the Rocket should win his first race. Given that this dog is an absolute dead certainty nothing could go wrong. Could it? This is actually quite a delightful little story, warmhearted without being sentimental and genuinely amusing. It is however the third consecutive episode that has nothing whatever to do with aviation. Of course the idea behind this series was to focus not just on the boardroom struggles and flying dramas but also on the ordinary employees without whom the Sovereign could never have been built and flown. That’s a perfectly valid approach for such a series to take (and it’s certainly in tune with the zeitgeist of the 60s) but I can’t help thinking it might have been wiser to make the ordinary worker-related stories have at least something to do with aircraft manufacture. Still, the series ran for three seasons which suggests that the producers knew what they were doing. Things get back on track with "The Thing About Auntie" - now we’re back to boardroom infighting and political intrigues and these are the subjects that this series does well and that give it its punch. The death of the Chairman is likely to lead to a three-way power struggle. John Wilder wants the position but his candidacy will be complicated by certain rumours that have been circulating about his wife. Of course a really skilled and devious intriguer might be able to find a way to turn potentially damaging rumours to his own advantage. Someone as skilled and devious as John Wilder for example. The Cat's Away nicely combines tensions on the shop floor with tensions among management. Efficiency experts have everybody worried, including Arthur Sugden. With the pressure on to move delivery dates forward the company cannot afford any hint of a strike but that’s exactly what they might be facing. A fine episode. Strings in Whitehall very much takes place in the rarefied but rather corrupt world in which business and politics intersect. Wilder sees a chance of making a sale to a South American airline but he’ll need government support in financing the deal and the government may not be prepared to risk public money, given that the airline in question is at best marginally solvent. John Wilder is not a man to take no for an answer and he’ll pull every string that he can but how much is he willing to risk? This is the type of story that shows this series at its best. Scott Furlong’s chief test pilot may have a problem on his hands with his first officer in The Best of Friends. Pilots tend to be loyal to one another, but is this always a good idea? And there are other kinds of loyalty that raise questions as well in this fine episode. 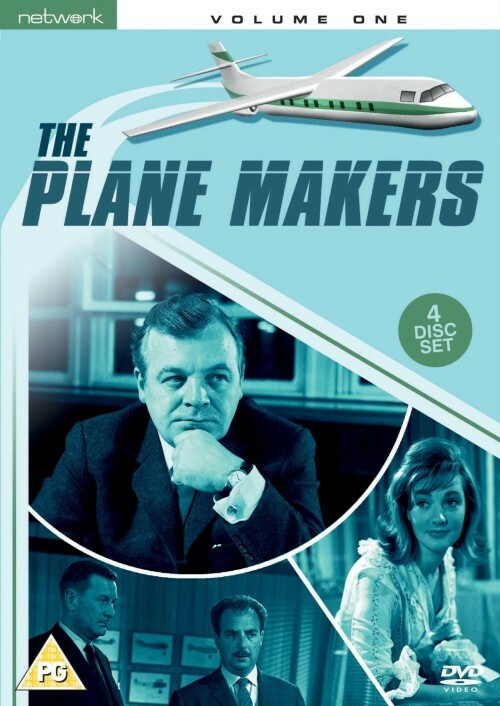 The Plane Makers is fine television drama. Highly recommended.